Dillian Whyte wants a “decider” against Anthony Joshua sooner rather than later but is unsure if his fellow heavyweight’s team are keen for the duo to fight next. The long-running rivalry between the pair stretches back to a meeting in the amateurs, with Whyte recording a knockdown on his way to a points win. However, Joshua – who went on to claim a gold medal at the 2012 Olympic Games before turning pro – triumphed in the paid ranks three years ago, recording a seventh-round stoppage to be crowned British champion. 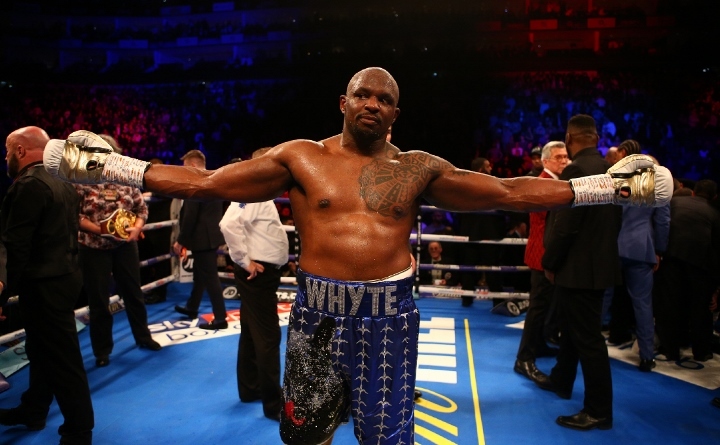 Whyte stated his desire to avenge that loss immediately after beating Dereck Chisora last weekend, even though IBF, WBA, IBO and WBO champion Joshua is prioritising a unification clash with Deontay Wilder, who holds the WBC title. Appearing on Sky Sports’ Soccer AM show on Saturday, the 30-year-old doubted whether Joshua’s camp are willing to take a gamble in the near future, instead opting to look for “easier paydays” in the division. When asked why the fight was not already sorted for a date in 2019, Whyte responded: “I don’t know, this is a business, and he’s thinking Dillian is a potential problem, there’s other easier paydays out there, so let’s see. “It will happen eventually, but I think it should happen now, because I’m in a good place now. “Last time we fought I had a lot of issues, injuries and stuff, and I almost nailed him last time. I think he’s seen my power is returning, I’m getting in better physical shape, I’m much more composed, as crazy as I was a couple years ago. Joshua is scheduled to box at Wembley on April 13, though the identity of his opponent is yet to be confirmed.